"UROGYN" is a joint venture between Urologist, an expert in Male Infertility, Dr. Ashok K. Gupta,MS, DNB-Urol, Mch-Urol and Expert IVF and Surrogacy Specialist. 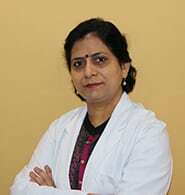 Dr. Surbhi Gupta, MD-G&O in the service of Infertile Couples. In collaboration with various associated specialists like Gynaecologist, Dr. Meenakshi Aggarwal, MD-G&O and Chief Embryologist, Mr.Paritosh K. Sarkar, the centre provides comprehensive services under one roof for complete Evaluation and Treatment of Infertile Male and Female. The centre is unique of its kind in this part of the country. It is accredited by various official and professional bodies and boasts of treating vast number of National and International patients from countries like USA, UK, Australia and Middle East. In addition to Infertility, the centre has two associated wings which provide Urological and Gynaecological services. In addition to Infertility, the centre has two associated wings which provide Urological and Gynaecological services. For detailed information about the centre, click ivfnewdelhi.com. Gynaecological Services:- Dr. Surbhi Gupta is Head of Gynae. Unit-III at Jaipur Golden Hospital, Rohini. Along with her associate, Dr. Meenu Vashista, their unit is the most efficient unit in the hospitalC. Urological Services:- Urosurgical unit was founded by Dr. ASHOK K. GUPTA, Director of UROGYN. Dr. Gupta is heading Department of Urology at Jaipur Golden Hospital, Rohini as well as Department of Urology at Maharaja Agrasen Hospitral, Punjabi Bagh. Bringing a new life into the world is a beautiful and major decision, a couple makes. The decision also brings a lot of hope, anticipation and excitement along with it. Parenthood lies at the very heart of most couple’s lives which makes the grief of infertility all the more harder to bear. Keeping this in mind, we introduce you to UROGYN (IVF Centre in Delhi), a platform which promises to wipe away this dejection by fulfilling your dream of having your own child. Infertility is as old as institution of marriage. But, evolution of Assisted Reproductive Techniques (ART) have now made it possible to treat almost all forms of Infertility and help such couples to achieve pregnancy. 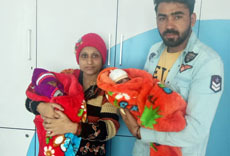 IVF New Delhi offers the latest treatments with success rates equivalent to the best at very affordable prices but without compromising on quality.